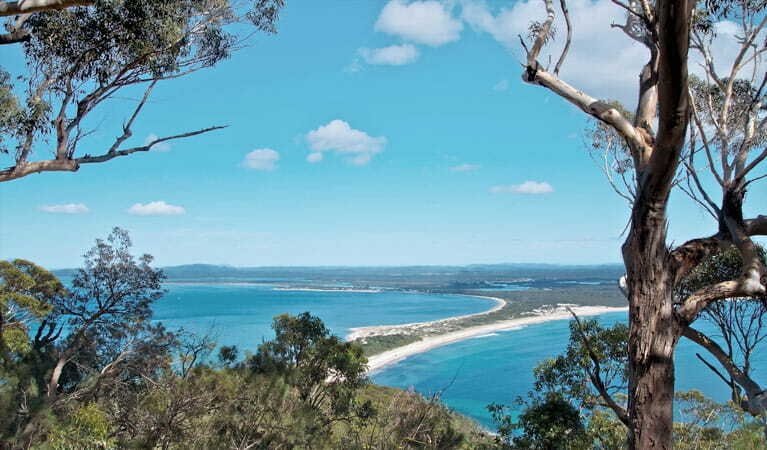 Yacaaba Headland walking track is a hard walk with scenic views over Myall Lakes National Park just north of Port Stephens. 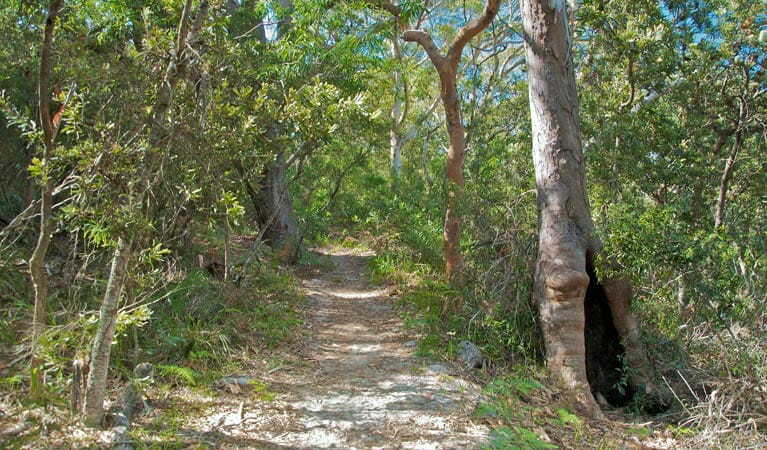 From the southern end of Bennetts Beach, the track climbs steeply and you’ll notice smooth barked angophoras giving way to gnarly banksias and grass trees. 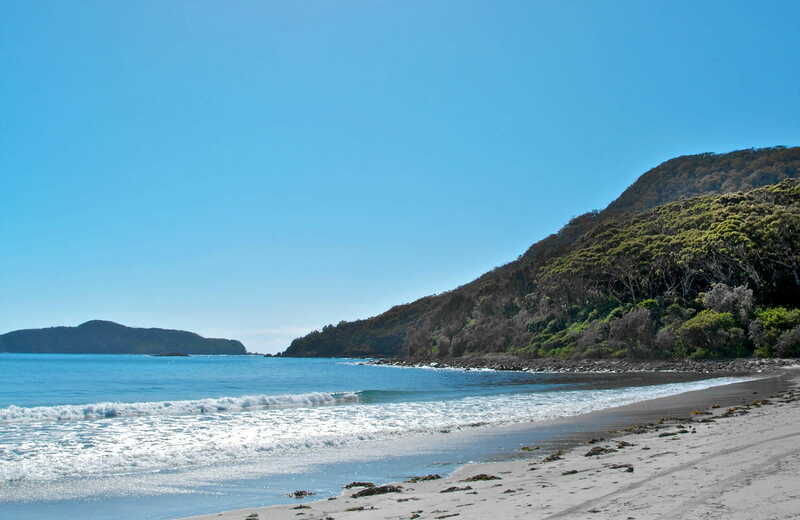 As the track veers north, take a break and admire the inspiring views up the coastline. On a clear day, the distant blue ridgeline of Barrington Tops is visible. 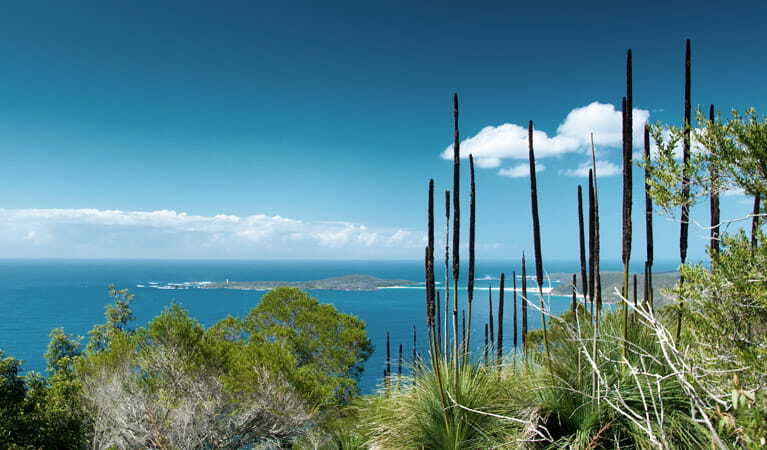 The track gets rockier and steeper, but along the forested ridge top you’ll be treated to coastal views of Seal Rocks and Tomaree Headland. 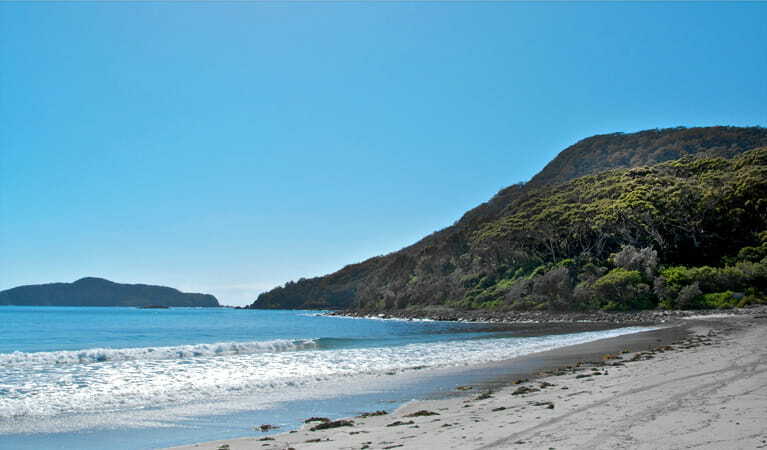 Out to sea, Cabbage Tree Island, known as John Gould Nature Reserve, protects the only known breeding colony of one of the world’s rarest birds; the Gould’s petrel.